If you live anywhere in the Great Lakes area of the United States, then lake effect snow is something you likely experience throughout the colder parts of the year. The combination of the warm water temperatures along with the much colder air blowing in from Canada to the north help spawn lake effect snowfall, which most often occurs during the months of November, December, January, and February. What Causes Lake Effect Snow To Form? Lake effect snowfall is most common in the winter, when cold air masses move south from Canada into the Great Lakes area. As the warm lake water heats up the lower layer of air, moisture from the lake evaporates in the colder air above. Warm air, which is lighter than cool air, rises into the colder layers of the chilly air mass and also begins to cool. As the moisture that evaporates into the atmosphere condenses, it forms clouds. Snow can then fall. Lake effect snow clouds are usually long and narrow — they are often only 20 to 30 miles wide and can extend more than 100 miles inland from their source lake. Lake effect snowfall often causes whiteout conditions. 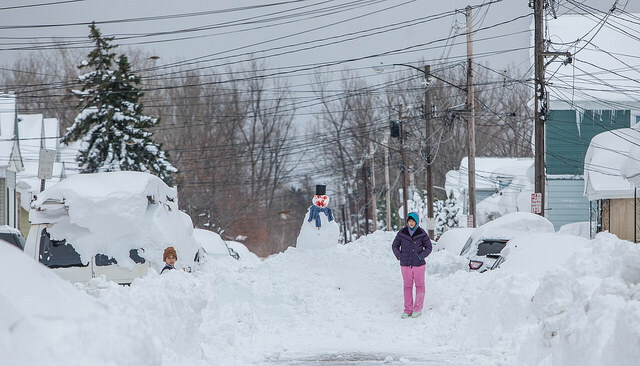 In fact, it’s common for lake effect snow to fall at a rate of 5 inches per hour! Ever hear of thundersnow? It’s caused by the lightning and thunder, which often accompany lake effect snowstorms. Bands of lake effect snow storms can remain in one area for several hours at a time, which is one reason snow accumulation is so often very deep at certain locations near the Great Lakes. Because lake effect snow bands are relatively narrow, clear skies are sometimes only 10 to 20 miles away on either side of the snowiest areas of the storm. Can Snow Be Caused By Other Bodies Of Water, Too? Lake effect snow is most commonly associated with the Great Lakes in the northern U.S., but lake effect snowfall can be caused by any large body of water — as long as it remains ice free. In a similar way that lakes can help cause snowfall, so, too, can bays. 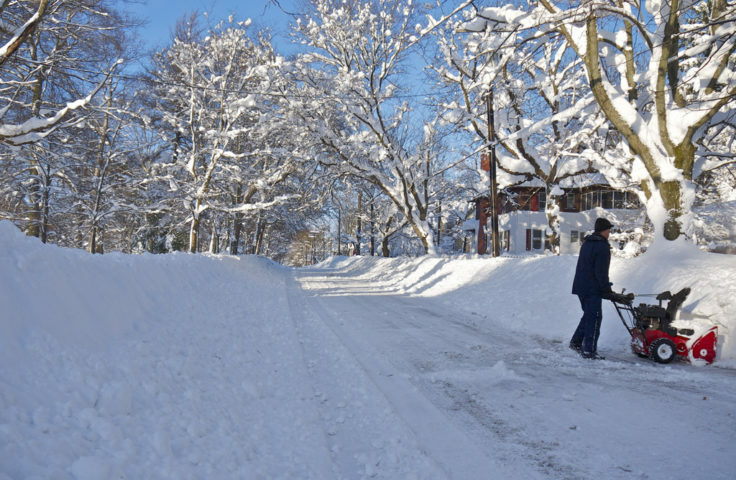 In fact bay effect snow is common in Massachusetts, which experiences snow that is caused by the warm air rising into the wintry air over Cape Cod Bay. Virginia and Maryland also see bay effect snow from the Chesapeake Bay. Bay effect snow fell over Tampa Florida, courtesy of nearby Tampa Bay in 1899. Another phenomenon called Gulf effect snow has caused the white stuff to fall in various parts of the Florida peninsula over the years.